CORRECTIONS: None as of Jan 31, 2016. *Gold Leaf (Article #231). 90% Acrylic, 10% Wool, Exclusive of Decoration; package size: 2.60oz/75.00 gr. (49yds/45m) pull skeins. 8 1/2 sc = about 4 in. (10 cm). sc2tog (sc 2 sts together) (Insert hook in next st and draw up a loop) twice. 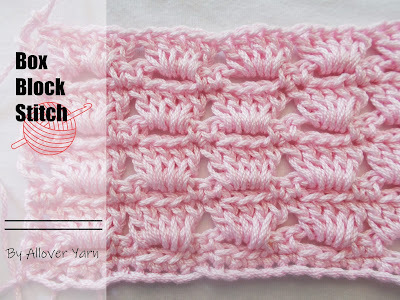 Yarn over and draw through all 3 loops on hook – 1 st decreased. 1. Hat is worked in one piece in joined rnds. 2. To change yarn color, work last st of old color to last yarn over. Yarn over with new color and draw through all loops to complete st. Proceed with new color. Fasten off old color. 3. All embellishments are optional. Pattern is for a classic hat that will look great on its own or embellished as you like! Set-up Rnd: Work 6 sc in first ch; join with sl st in first sc. Rnd 1: Ch 1, 2 sc in each sc around; join with sl st in first sc – 12 sc. Rnd 2: Ch 1, 2 sc in first sc, *sc in next sc, 2 sc in next sc; rep from * to last sc, sc in last sc; join with sl st in first sc – 18 sc. Rnd 3: Ch 1, 2 sc in first sc, *sc in next 2 sc, 2 sc in next sc; rep from * to last 2 sc, sc in last 2 sc; join with sl st in first sc – 24 sc. Rnd 4: Ch 1, 2 sc in first sc, *sc in next 3 sc, 2 sc in next sc; rep from * to last 3 sc, sc in last 3 sc; join with sl st in first sc – 30 sc. Rnd 5: Ch 1, 2 sc in first sc, *sc in next 4 sc, 2 sc in next sc; rep from * to last 4 sc, sc in last 4 sc; join with sl st in first sc – 36 sc. Rnd 6: Ch 1, 2 sc in first sc, *sc in next 5 sc, 2 sc in next sc; rep from * to last 5 sc, sc in last 5 sc; join with sl st in first sc – 42 sc. Rnds 7-16: Ch 1, sc in each sc around; join with sl st in first sc. Rnd 17: Ch 1, sc in the first 12 sc, *sc2tog, sc in next 12 sc; rep from * to last 2 sc, sc2tog; join with sl st in first sc – 39 sc. Rnd 18: Ch 1, sc in first 11 sc, *sc2tog, sc in next 11 sc; rep from * to last 2 sc, sc2tog; join with sl st in first sc – 36 sc. Wind strung crystals around Hat. With sewing needle and thread, sew crystals in place.